Have you been diagnosed with sleep apnea? Does your husband or wife talk about your snoring, or does it wake you up? Are you constantly tired after sleeping all night? Academy of Clinical Sleep Disciplines board certified Dr. Timothy E. Mickiewicz can help! Our goal is getting you back to a well-rested, healthy life. If you have or suspect you have sleep apnea, contact our office in Sacramento, CA, to schedule a consultation with Dr. Mickiewicz. Sleep Apnea: What is it All About? Obstructive sleep apnea (OSA) is a medical condition that occurs when airflow to the lungs is blocked due to the relaxation of the muscles around the tongue and throat during sleep. Airway blockage results in repeated breathing pauses and reduced levels of oxygen in the blood when sleeping. The quality of your sleep impacts every facet of your overall health and day-to-day functioning. Getting a good night’s rest contributes to your appearance and performance every day. When you do not get the sleep you need, these areas are negatively affected. Approximately 70 million people in the United States have a sleep disorder. One of the most common is obstructive sleep apnea, or OSA, which causes breathing to stop multiple times a night, for a few seconds to over a minute. Every time you stop breathing in your sleep, the lack of oxygen alerts your brain and your body to wake up to breathe. As a result of the constant wake-sleep cycle, your body never reaches the deep sleep stage needed to refuel your body. Constant waking activates the body’s fight-or-flight response, which can negatively affect your heart rate, blood pressure, and hormone levels. A physical examination can determine if you suffer from OSA. Doctors who specialize in sleep apnea will perform either an overnight sleep study or a home sleep test. After your doctor carefully analyzes the data from these tests, he can make an official diagnosis. Signs and symptoms of OSA are varied but distinct. If you suffer from any of these symptoms, please contact our office for an evaluation. Age – Muscles in the throat lose definition with age. As they weaken, they are more apt to block the airway during sleep. Genetic Predisposition – Some people have a narrower throat or an enlarged tongue that obstructs the airway. Knowing your family medical history can help your doctor determine if you are at risk for OSA. Smoking – Cigarette smoke irritates the lungs, throat, and esophagus, and causes fluid buildup in the upper airways. This can lead to inflammation that obstructs airways. Weight – In most cases, excess weight is directly linked to OSA. An abundance of fatty tissues can restrict airflow when the upper respiratory system pathways are narrowed or blocked during sleep. Dr. Mickiewicz will work with your primary care physician and specialists to address sleep apnea risk factors. Returning patients to good health and a full life is always our goal. Our comfortable and patient-friendly office is the perfect place to learn about OSA and discuss your oral sleep appliance options. 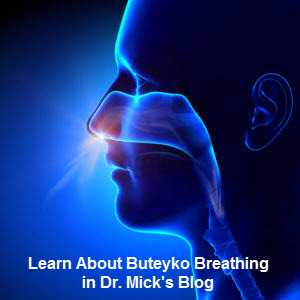 Dr. Mick invites you to call (916) 469-9178 for an appointment to set up a sleep apnea appliance consultation.